The following is a short excerpt from my much longer (and still unfinished) Colorado Trail Race story. When will it be done? Soon. Will I post it here? Maybe. Probably. At least parts of it will show up in this space. But it’s quickly outgrowing blog-length. I’m trying to figure out exactly what to do with the whole story. Stay tuned. Excerpt 2 is here. The streets of Durango, Colorado were empty. The black sky was speckled with stars. A few street lamps glistened in the dark. Shop windows glowed dully. Above the rooftops, a darker shade of black surrounded the sleeping town, the dense foothills of the La Plata mountains. Nervous mountain bike riders were gathered downtown. They drank coffee, ate pastries, talked quietly. Carver’s, a local restaurant, had opened early for the riders. The place was as crowded at this dark hour as it would be later in the morning. Some of the riders looked more relaxed than others. Many were making last-minute adjustments to backpacks, bikes, and other gear. All were keeping an eye on the clocktower that loomed overhead in the night sky. Getting to Durango, and to this start line, wasn’t easy for any of the riders. Even the veterans and locals had been preparing for weeks, if not months. Training rides, gear tests, map-studying, and strategy sessions had all been taking place in varied home towns across the country. All the preparation, all the planning, and all the anxiety was about to be left behind. Just minutes away was the object of all this foreshadowing. Just minutes away was the Colorado Trail Race. 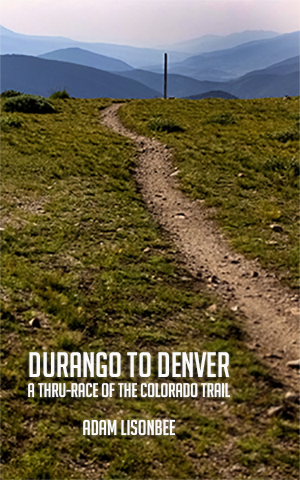 The Colorado Trail Race was founded in 2007. 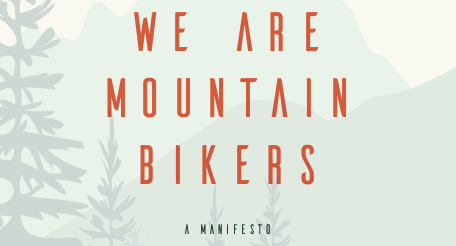 A small group of mountain bike innovators decided to ride their bikes from Denver to Durango, using the famed Colorado Trail, a 500-mile ribbon of trail that climbs up and over eight mountain ranges, and through some of the most breathtaking terrain in the American west. The idea caught on, and now, each year, more than 60 riders gather together to race, or simply ride, halfway across the great state of Colorado. There are other self-supported races, but none as difficult, with as much unrideable terrain, and none at the sky-scraping elevations of the Colorado Rockies. The CTR is one of the longest singletrack mountain bike races in the world. But the riders who embark on this strange journey aren’t professional racers. They aren’t famous. Instead, they are mostly anonymous, everyday mountain bikers. They are engineers, lawyers, mechanics, and professors. But most of all, they are hearty, and tough. Or will be, after a day on the Colorado Trail. Riders were now clumped together in the street. The coffee had been drunk, the donuts eaten. The bikes were done being looked over, and the nervous chatter had subsided. Faraway stares blanked most of the faces. A palpable, nervous energy flittered through the crowd. The clocktower broke the silence. The sound of shoes clipping into pedals clicked through the crowd. A few riders whooped or hollered. “Who’s ready to ride?” shouted Stefan Griebel, a rocket scientist from Boulder, Colorado, who organizes the Colorado Trail Race each year. A few more riders shouted in affirmative response. Many were silent. Four o’clock. July 21, 2013. A time and date that each rider had been anticipating for weeks, months, even years, had finally arrived. The pedal strokes that were being spun down the dark, quiet streets of Durango were strokes that were no longer training, testing, or preparation. They were the real thing. And each one brought everyone a little bit closer to Denver. Each mile ridden, was one less that separated these men and women from their dreams of becoming a Colorado Trail Race finisher. Rookies and vets alike now faced the same indifferent mountains and the same brutally difficult trail. Past experience would benefit the vets, while ignorant enthusiasm would press the rookies onward. Regardless of past experience, each of the riders now rolling across the pavement were embarking on days worth of pain and suffering, euphoria and joy. The 2013 Colorado Trail Race was underway. Wow what a vivid picture you painted! I look forward to the rest of the story. Good Start to a good ride! Pedal Power…. This is great stuff, thanks for taking the time to write something that fills in some of the blanks and is funny too.